I firmly believe that idiopathic scoliosis is caused by a mind-body imbalance. Your emotional feelings of being unbalanced are manifested in faulty bodily defenses or defective body patterns. These tensions and contractions in the body arise in childhood due to adverse childhood experiences. Not feeling good enough and safe enough. The feeling of being unsupported or having to suppress the real you. The body bends according to the mind anomaly. Your twisted, curved spine is just a manifestation of your emotional thought patterns. Eventually, if the childhood environmental stress is not resolved, the body incorporates this defensive pattern, Trauma becomes embedded in your body at the cellular level. Resulting in a host of illnesses, including scoliosis. Sadly, these painful memories remain largely subconscious. Uncovering and healing these memories is the key to healing. In other words, the emotional and behavioral patterns that children adopt to survive adverse conditions allows them to deal with the immediate problem. However, in the long-term, they become dis-ease. In my case to escape from my uncle’s lust I twisted my body. This memory I completely forgot till I had a breakdown at age 29 when all my repressed memories came out. To release defective body memories, you need to become conscious of your thought patterns and your beliefs. And how you picked these beliefs. Scoliosis is basically a trauma body pattern that has become embedded in the body’s central axis – the spine. Healing this defective pattern one has to become aware of one’s subconscious thought pattern. To access these subconscious memories one has to be able to relax the mind of the incessant chatter and go within. This is possible while your brain is in the Theta (8hz – 3hz) state. Usually, you are in this deeply relaxed state, just before you fall asleep or wake up. Theta brain waves are the doorway, allowing you to enter the content of your unconscious mind – your innermost fears, desires, and beliefs. Psychedelics have been proven to increase theta waves and have shown promising results treating those struggling with post-traumatic stress disorder (PTSD). Personally, I have been able to tap into theta waves through sound healing music. Thus, have been able to access long forgotten memories. I ate psilocybe semilanceata or magic mushrooms and it completely relaxed my spine, I could do splits and lay outstretched on the floor without pain. Before that, I was in almost constant pain and my past was hazy. During, I could remember past experiences that I’d forgotten, that had affected my body in different ways, it was like seeing myself from the outside and how I was literally carrying past experiences in muscular tension patterns all over my body. Since then, I’ve found that breathing was the key to relaxing like that, and now I can almost completely manage my pain with just breathing and posture awareness. 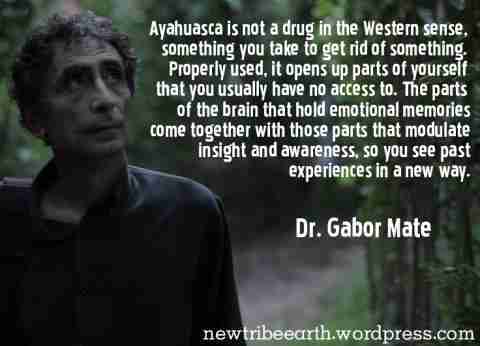 What most people don’t understand is that psychedelics are not recreational drugs. One needs to remember that they are considered plant medicines and have to be approached with reverence. You have to prepare for the psychedelic trip. An experienced guide or shaman plays an important role is facilitating your transformative healing journey. Furthermore, if you want real healing to happen, you need to set your intention and believe that change is possible. Keeping an open mind is important. The last but most important element in your post-psychedelic experience is returning to an emotionally supportive environment. Or else all the insights and healing experience will come to naught if you have to go back to an environment that triggers and invalidates you. During this experience, one is privy to mind-expanding insights. Even though it will not magically change you but it does change your perceptions and thought process. 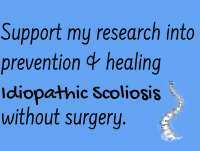 Those with scoliosis who have taken this claim they feel more confident, can look people in the eye and feel empowered. It makes you aware of things in your life that need improvement, whether emotionally or physically. Summing, psychedelics will give you sneak peek to what it’s like to move freely without muscle tension and habitual patterns. On the psychological level, you gain access to your emotional baggage, the reason for bending and twisting your body to survive in a hostile environment. WARNING: For some, they may not be ready for what the unconscious presents them. If you have experienced extreme trauma or abuse in the past, seek the assistance of a medical professional before trying any psychedelics.